It is not just the global migrating workforce who regularly uses international remittance services, but also parents of students studying abroad, entrepreneurs having overseas operations, corporates and many other. Despite the large pool of users, international remittance remains a shadowy concept to most. With a view to continuingly educating the community on the aspects of international money transfers, and help them understand the landscape better, we launched FX Talks on December 13. In the first episode of this series covering expert interaction, Prajit Nanu our CEO and remittance veteran , Ramakrishna went LIVE on Facebook to answer to queries that users of international remittance services may have. Here are 16 questions that they covered during the session. 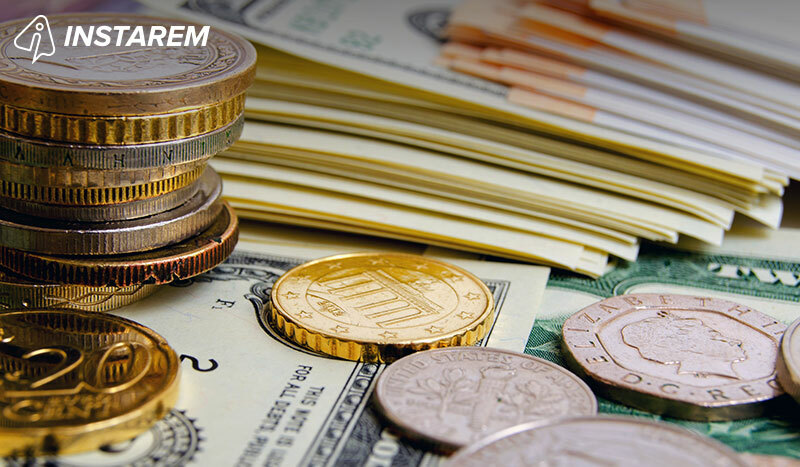 Why does it take a day for InstaReM to do remittance when other services can do it instantly? Being in the international remittance space, we strictly adhere to regulations of each of the countries for safe and secure processing of our client’s transactions. As a committed startup in the remittance industry, we are currently operating in 8 markets, we process large volumes of payments and rest assured that we process your payment as fast as possible. 2. What was the motive behind switching to charging fees per transactions? And why higher fees for larger transactions? We offer Real-Time FX rates without adding any margin at all. What you see on Google, is what you get. We cover cost of processing your transfer,this fee is a fixed percentage of your total amount you are transferring. 3. Why did you need an individual’s ID even if they are not first time users? There can be cases when an ID we have used to onboard a client goes beyond the expiry date indicated on the ID. In such cases, we have to request the client for a valid ID. 4. Does InstaReM have an annual limit to the amount one can transfer? There is no maximum limit to the amount you can transfer after your first successful transfer with InstaReM. However, there could be a country-wise cap on the amount of your first transfer with us. 5. Why can’t InstaReM send money from India? We have recently received RBI’s approval to set up our outbound services in India. We should be starting operations in India from January 2018. Thereafter, both individuals and businesses will be able to send money from India to 60+ countries around the world. 6. Why does InstaReM charge a fee? We offer you Real-Time FX rates. Which means you get absolute transparency on the rates — what you see on Reuters and Google is what you get. We don’t add any margins at all unlike most other banks and money transfer services. As we give you the direct live FX rate we receive from our provider, we need to add a nominal fee to cover the costs of processing your transaction. 7. How do banks see your business and how do they classify InstaReM’s business risk associated with a bank account? One of the greatest challenges for remittance service providers is to have banking relationships considering that we pose as competition to the banks. But our business model is digital — wherein we transfer funds between two KYC-verified bank accounts, thus mitigating business risks of all sorts. This works as an assurance to the banks and regulators and helps us have very good relationships with them. Also many banks are partnering with fintechs like us to help their customers with remittance services and promote their business. 8. How does InstaReM manage to have a lower remittance fee for the end user? There are two aspects to it. FIrst is the fact that that we process significant volume — because of which we are at a position to offer such low fees, even at Real Time Rates. The second is our commitment to the vision of cost-effective overseas money transfers. 9. Why can’t InstaReM have a payment gateway where I can transfer from your website rather than paying from my account? We are working on this and soon users in all of our countries of operation would have a payment gateway enablement. 10. Does InstaReM has any plan on going into cryptocurrency market? While we strongly believe in a blockchain-based solution where we can reduce cost further and streamline processes, we are currently concentrating on setting ‘a precedence in bridging currency borders’. Bitcoin is not yet recognised by most regulators as a currency. We also must consider the fact that we rely on local banks — which means that however fast you get the money moving cross-border, you need to rely on the banks for local payment. That is the challenge we are currently working at overcoming. 11. Is InstaReM looking at the Gulf market? We are definitely exploring markets to widen our reach. 12. Why doesn’t InstaReM allow a transfer from a local bank account to another local multi-currency bank account after a currency exchange? In January 2018 we will be relaunching our platform which will enable you to transfer money between local bank accounts after a currency exchange. But please note that when you send non-local currency into a local bank account, the receiving bank will charge a fee, which fintech firms will have no control over. 13. Is there a way I can trace how my money travels? Typically there are a lot of hoops through which banks remit money — from the bank where you deposit the money, through a correspondent bank and finally to the beneficiary’s bank. However, there is no way of tracking the same. But with Fintech firms you can track your transaction the same way you can track your courier with an airway bill number. You can track your money with the reference number that you are provided. And in addition to that, firms like InstaReM, also send you periodic emails informing you about the status of your transaction. 14. What is Real Time Rate? Is it better? Real-Time FX Rate are rates that the provider receives from their liquidity provider. This rate is devoid of any mark-up, any profit margin. It’s the rate used by banks to transfer large volumes of money amongst themselves. Yes, this rate is better as it’s transparent and devoid of any profit margins included. 15. Why don’t most banks not give Real-Time Rates? When you go to the banks and most online providers to convert currencies, you most likely won’t get the market price that traders get. The bank,currency exchange house,or even remittance firms will markup the price so that they can make a profit. But the best way to tackle it is to see how much amount the beneficiary is going to finally receive — that should give you a fair idea of the rate. 16. Can I send money to someone’s e-wallet instead of the bank account? In the global remittance market, the amount of money being sent to someone’s e-wallet is less than 0.5% of total remittances because of significant restrictions in the total transaction amount in many markets. However, the ticket sizes that fintech firms like InstaReM handle are much bigger. So currently, it is not possible to remit money to one’s e-wallet.